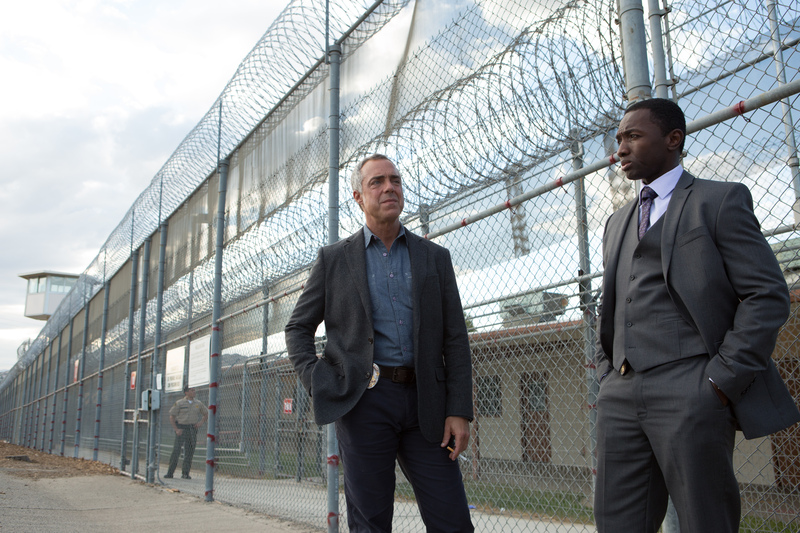 Bosch – Amazon’s Maverick Hard-Boiled Cop Is A Winner! Hieronymus ‘Harry’ Bosch is a homicide detective in Hollywood from a series of novels by Michael Connelly. He’s not exactly heroic and the phrase ‘world weary’ could have been invented just for him. Amazon’s new series, Bosch, captures the feel of the novels and Titus Welliver really brings Bosch to life. Harry is as hard-boiled – and principled – as Marlowe or Spade but the badge he carries makes his tendency to bend the rules worrisome, if entertaining. TELVISION: Trust Me: TNT’s Workplace Dramedy Shows Promise! When Trust Me [Mondays, TNT, 10/9C] premieres following The Closer, there will be a tonal shift of some magnitude. Whereas The Closer is a darker drama with humor, Trust Me is much lighter in tone, with a nearly equal amount of each. 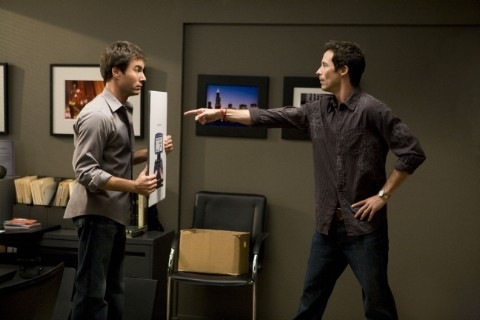 The set up is this: Mason [Eric McCormack] and Conner [Tom Cavanagh] are partners in a creative group for ad agency Rothman, Green & Mohr. Mason is a bit uptight, a bit square and a draughtsman as opposed to an artist. Conner is sly, charming, talented but incredibly immature – and us brilliant at coming up with concepts and taglines. When one of their biggest clients, Arc Mobile, wants to change their approach, Mason and Conner are pulled away from a cushy assignment to come up with something new – only their boss [Life on Mars’ Jason O’Mara] hasn’t been told. When he finds out, he retreats to his office and has a heart attack. The group’s creative director, Tony Mink [Griffin Dunne] promotes Mason to take his place. Conner has a fit of pique. Trust Me’s first two episodes [Before and After, All Hell The Victors] deal with the ramifications of the client’s need for change and the fall out form Mason’s promotion – working a newly hired hot shot writer, Sarah Krajicek-Hunter [Monica Potter] who was promised “a window;” two junior copywriters, Tom [Mike Damus] and Hector [Geoffrey Arend] who think taglines are passé, and Mason’s wife Erin [Sarah Clarke] into the mix, along with all their unique arcs. Between dealing with Arc Mobile and the inadvertent plagiarizing of a tagline from a potential employee, the first two episodes do a good job of setting up the characters and situations that will be the foundation for the series. If the ad agency stuff feels real it’s because series creators, Hunt Baldwin and John Coveny have between them over twenty years experience in the field. Trust Me wouldn’t be out of place on a major network [or on the “Characters Welcome” cable net, for that matter]. It’s hugely entertaining despite still needing a bit of work on the drama/humor balance and figuring out how to maximum effect out of its minor characters. It’s certainly a better than average series, but it has the potential to be much more.